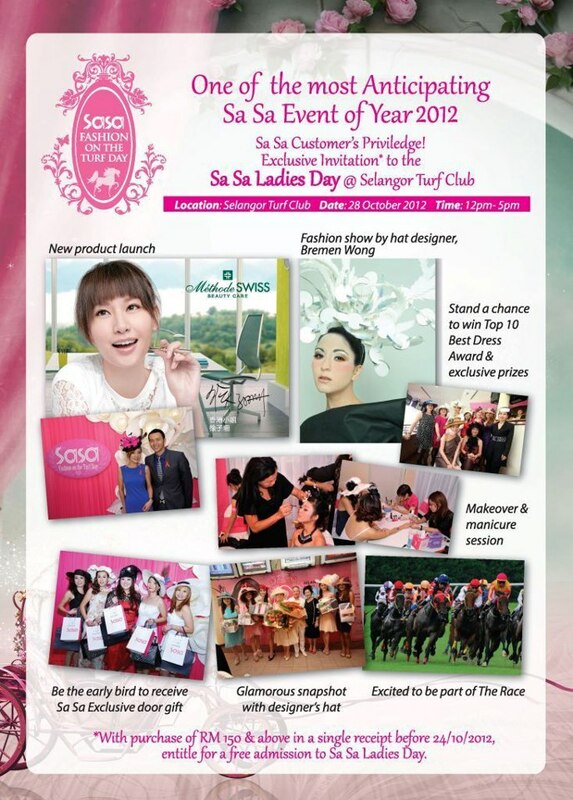 If you love shopping at Sasa I am sure you will love to win free passes to attend the Sasa Ladies Day at Selangor Turf Club. It is one of the most glamours fashion and lifestyle annual events for ladies in Malaysia. It is happening at Selangor Turf Club this 28 Oct Sunday from 12 noon to 5 pm. You just need to spend RM150 in a single receipt before 24th Oct 2012 and sign up their Facebook page. For detail head to facebook/SasaMalaysia.